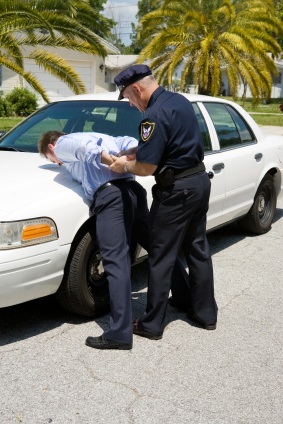 It is a crime in California to drive under the influence of drugs (DUI). The term “drugs” covers all substances that may affect a driver’s ability to safely operate a vehicle, including drugs that fall under the “recreational” category, prescription drugs, and over-the-counter drugs that may induce drowsiness. In fact, any substance that alters the user’s nervous system, brain, or coordination may lead to DUI charges, depending on the circumstances. Drug-related DUI cases are more complicated than those that involve alcohol because there is no determined level of illegal drug impairment. In California, it is a crime to drive with a blood alcohol concentration of .08 percent or greater. Drug-related incidents, however, are left up to the discretion of the arresting officer and the prosecution. There is no particular measure of intoxication or impairment when it comes to drug-related cases. Driving under the influence of drugs carries heavy penalties in California. Even first-time offenders could end up facing three to five years of probation, fines of up to $2,000, up to six months in county jail, a six-month license suspension, and mandatory DUI education classes. The severity of the charges is often linked to the defendant’s driving record, the circumstances of the case, and the ability of the defense attorney to negotiate lesser terms. The skilled Los Angeles DUID defense lawyers at Takakjian & Sitkoff have a long history of handling drug-related DUI cases in California. We have helped many of our clients get their charges dismissed or lessened based on the evidence. If you have been accused of a DUI in Los Angeles, Orange or Ventura counties, please call our offices today at (866) 430-8383 to discuss your case.